Ricker, we have not always agreed on much, especially since me and SGC are friends but I completely agree with you! The fastest 55K period stands with Amgrocket. And as far as the mile, I'll give you vbox data on my car for that ( I got you). Thanks to SGC and the private rental at PBIR, I won the vbox. Haha! I'll be seeing you soon Brooke! Like I said before, I'm not a RT fan. Im just friends with Steve. He's given me great advise and taught me good things about racing my car. But, Brooke is full of sh*t. When it comes to these cars! I'll take his car on after his rebuild, without my car ever having the bottom end touched. PERIOD! My Rage-Tek cooling package is nothing to fu*k with! And I will be there at the Texas Mile. If you don't like what I say ,Brooke, come see me! I sent a message to them a few months ago, they just responded to it yesterday. David, thank you for your interest. We have development cars that have been running for months as we get everything perfect. Big things coming very soon! You should apply for a job at Speedriven, that's farther along than they were after ten months. I've seen many keyboard warriors with anonymity-fueled courage go wild on forums over small issues, usually without representing the entire story. The entire story was (and still is) a click away, should you choose to view our issue objectively without playing favorites. No anonymity here, I'm a household name with several MB-World members. If you didn't have a dog in the fight, please don't throw one in it. Marcin held up his end of the bargain and refunded all deposits. He has addressed the concerns on our forum, and you won't hear another word from the M112 crowd. We wish you all the very best in this new proposed group buy, I'm sure it will be much more successful now that all projects are in fact "cleared" so time and attention can be focused (as originally stated in the OP). We are willing to move on and drop it if you guys will oblige. Neither the MB forum or the Crossfire forum should feel any animosity towards each other -- we're all enthusiasts chasing the same goal, buying the same parts, for the same motors, from the same vendors -- and helping each other go faster. pffft... what fun would the internet be then? Sorry but can't you M112 guys start your own thread about your dispute with Speedriven and the header thing. I know you guys are frustrated about your headers but it's hard seeing the posts actually related to the thread without having to filter all the M112 BS. This thread is about M113 whipple SC ... Anyone interested to discuss something esle, then he should start his own thread. Moderator, please take action against anyone who try to take this thread to different way. I cannot wait to hear the whipple whine on a 55!!!! I am 100% down as soon as production is rolling. I have been thinking about getting rid of my 55 for a CLS63 but for less then $8k these cars will be flat out low/mid 10 sec cars that can be driven daily. YES YES YES!! Well said I had a torque spike of 960 something the day before my car broke so i must have the record right? If all goes well i will be down in texas this October to see what i can do also. On the old setup i've done 60-130 in 6.9 with no nitrous and have gone 6.61 with it so that should give you an idea what it will do after the build. Honestly the mile thing isn't my style but i want to go down and see what she can do and show Brooke he has a record that until now nobody cared about. Im confident the car will runs 9's this fall to so time will tell. PS the DD that Brook uses is set to Lunar gravity, I saw a graph from a CL600 on 20" heavy wheels otherwise BONE STOCK run on that Neverland Ranch Dyno, it put down CRANK HP/TQ #'s @ the WHEELS lolol so his 612 rwp is tot BS too... Brook kart that parts-bin of a car to Jeremy's DD & report back! Last edited by Thericker; 05-25-2012 at 12:54 PM. All have have to say is :"WOW" and if it works out and power and the price is similar to Mustang kits WOW again ... maybe somebody will get us a upgrade sometime before our cars "become classics"
lol im talking about more then one! In for more details as things progress. Finally got in the tooling parts we have been waiting for to continue to build the intake runners! Hopefully in the next two weeks we will have the entire top half of the kit assembled and ready for a new intercooler! Nice work Speedriven!! After seeing the cars you have in your shop I've realized this is not just some petty sleaze ball company that many say it is (they're probably on crack cocaine) . 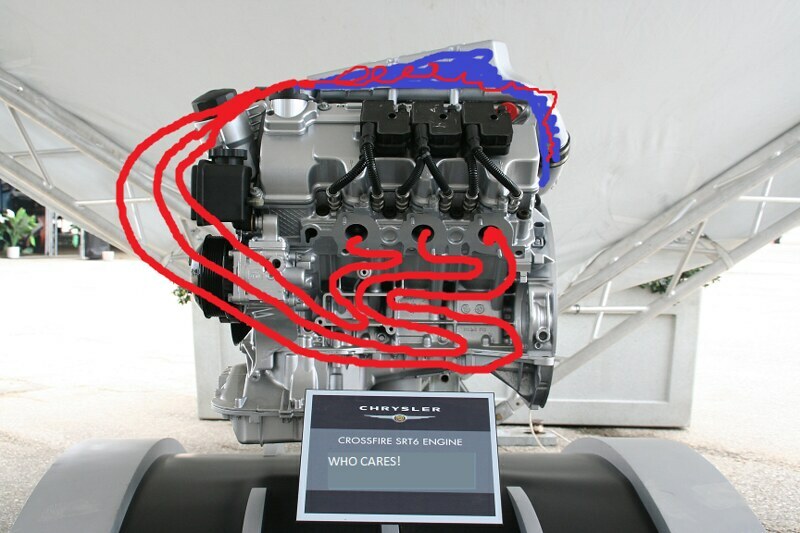 This is a 2.9 Supercharger. What is the displacement of the stock unit ? Could it be a good idea to combine this SC with Top mount intercoolers ?